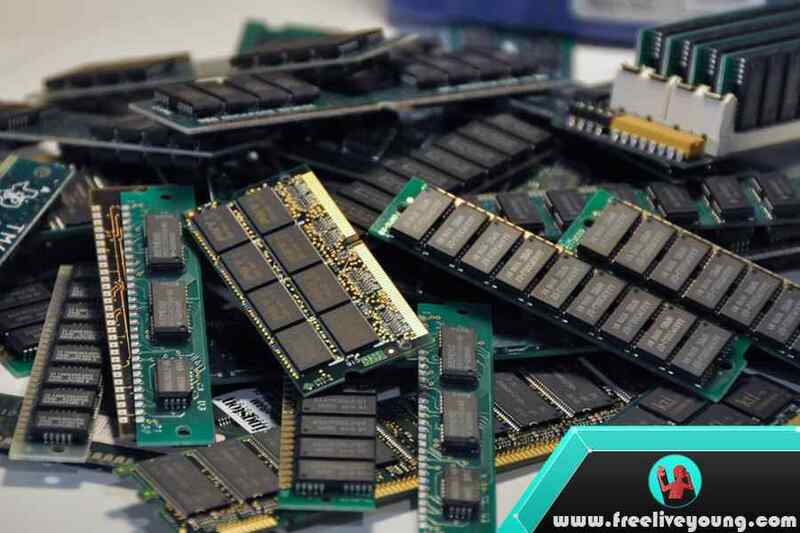 Freeliveyoung.com - How to Choose the Best Ram for PC Gaming - A gamer must be very well aware of how important the role of memory (RAM) in running a game, whether it is heavy category games, medium or light games. Then how do I choose the best RAM that is suitable for the computer that you use to play the game? In choosing the RAM, not only the capacity is important, but we also need to know some other details about the RAM that we will buy, whether it is compatible with the PC we have or not. For example, such as speed reading data, brand, voltage, compatibility with the mainboard and other components, and many more things you need to consider in choosing a RAM. Well here's an explanation of how to choose the best RAM to assemble or upgrade PC Gaming. This is an important point and the first thing you should consider in choosing RAM, do not buy, make sure whether the socket RAM is compatible with your PC motherboard or not. If your motherboard socket is DDR3 then you also have to buy DDR3 RAM as well, do not buy the DDR2 because it certainly will not be used. Note also your motherboard specifications, whether able to accept RAM to be paired or not, for example, the motherboard with a maximum dual channel 8 GB 1333 Mhz speed, If you pair 16 Gb RAM speed of 1866 Mhz, then the motherboard will not be able to run it. Note also the ability of the processor that you use, usually, there is information in the form of information about the capacity and maximum RAM speed that can be accepted by the processor. In buying or upgrading computer RAM, if you buy 2 pieces, make sure the two series are the same, for example, the first one is RAM PC12800, then the second one should also RAM PC12800. This is something that should not be ignored. Not all motherboards can support the speed of frequency in Memory (RAM). You must also pay attention to the maximum and minimum capacity of the motherboard in accepting the speed of memory frequency. In addition, the processor you use must also be appropriate and able to receive the RAM memory frequency speed. Before buying RAM, you should consider the motherboard and processor specifications first. For DDR3, the maximum speed is 1066 - 1600 Mhz in standard mode and 1866 - 3000 Mhz in overclocking mode. As already explained in the first point, the RAM you buy must have the same socket with the motherboard, if DDR3 then the partner must also DDR3, as well as for other socket types. Before buying, make sure also how many voltages are used by the RAM, because there are some motherboards and laptops that cannot read 2 pieces of RAM that have a number of different voltages. In buying memory, try to make the memory is made by a brand that is famous for the quality of its products, and also make sure if you buy 2 pieces of RAM, the two brands must also be the same for more stable performance. frequency must be the same, have the same capacity, if buy 2 make sure the brand is the same, appropriate, until the motherboard and processor that must support. Maybe that's enough tips that can admin share in this article, may be useful, and thank you for reading: How To Choose A Good RAM For PC / Gaming Computers.Do not forget to share this post with your friends by clicking the share button below.